Clips from a kembangan weekend. 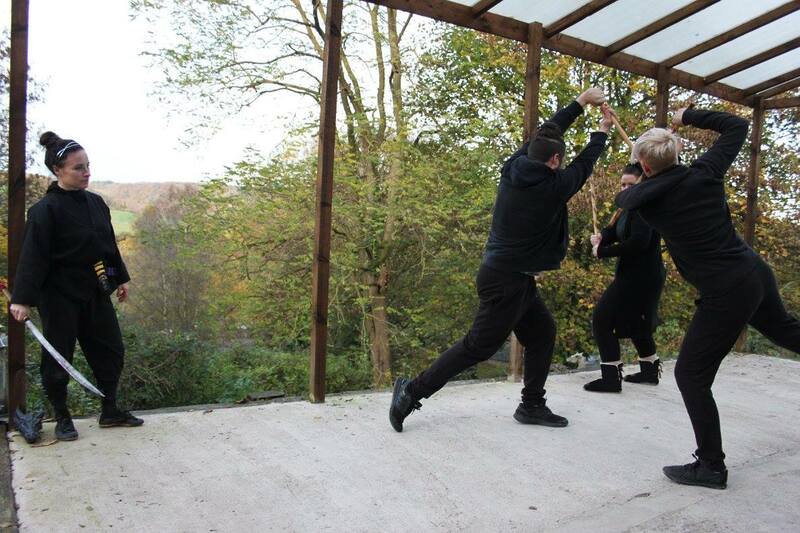 Photos from the Autum and winter sword weekends. 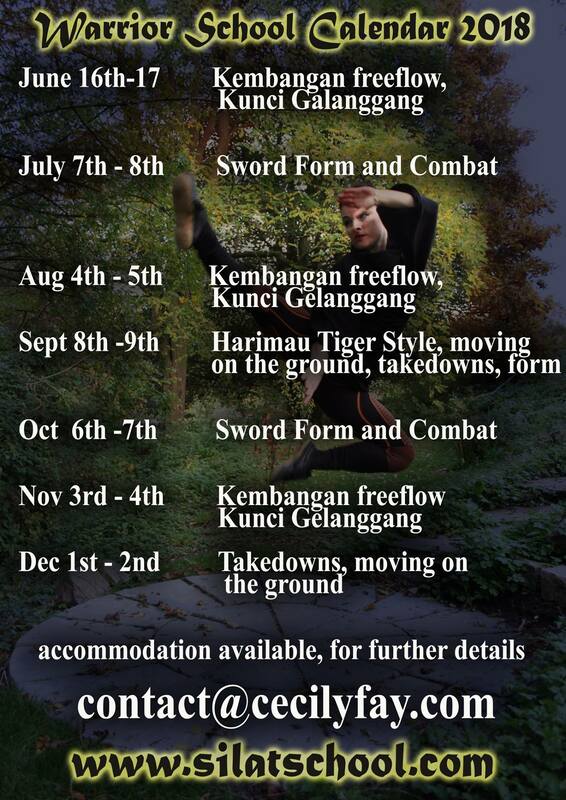 Photos from Octobers seminar on "Generating the Spiral' through the soft style Kembangan and deep Malay form. 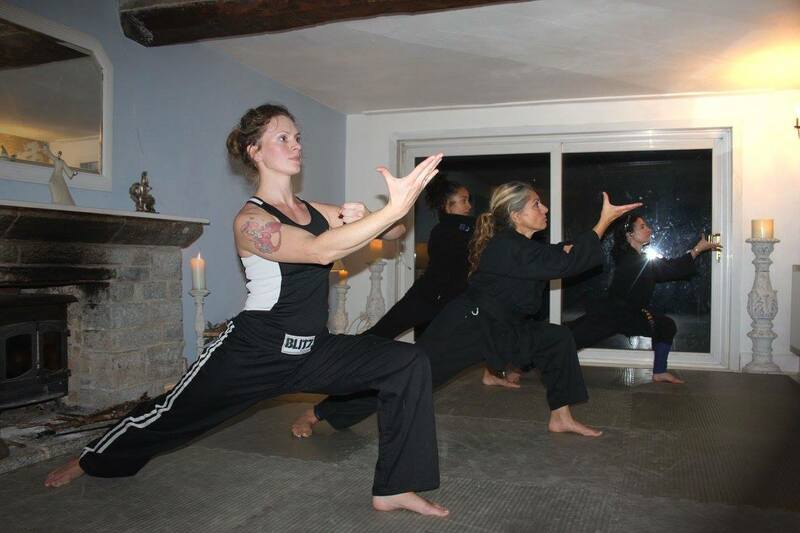 The spiral motion is at the heart of Silat, from inner energy practices to multiple striking. That spiral or twist, creates the energy that powers everything. 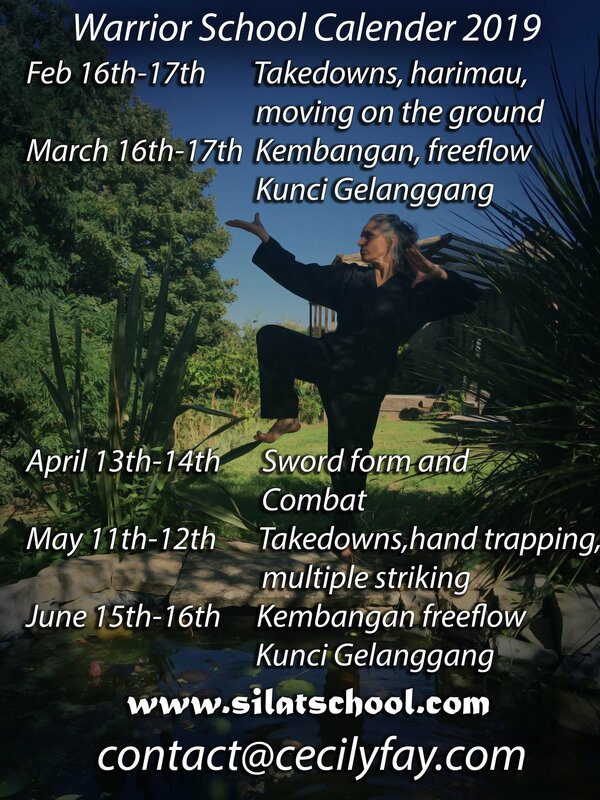 From each atom in all life to the spiral dance of the earth and skies in micro and macro the Silat practitioner tries to create this spiral through their body. Aug 2016 sword form and combat group. Well done everyone excellent work! The July and first August training weekends are fully booked. 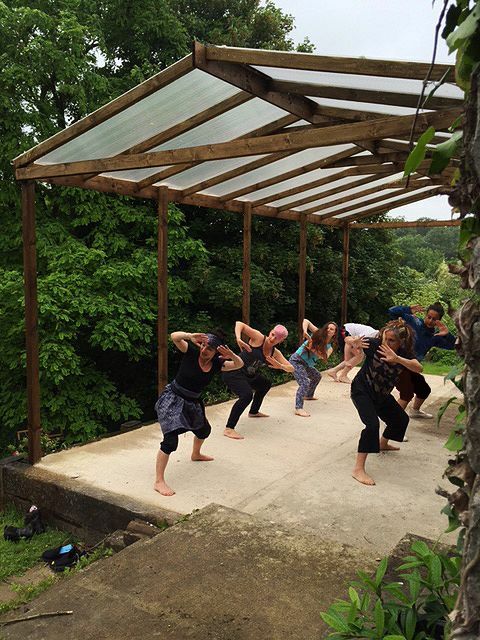 Please contact Guru Cecily if you wish to attend the weekend of the 26th - 28th August 2016. 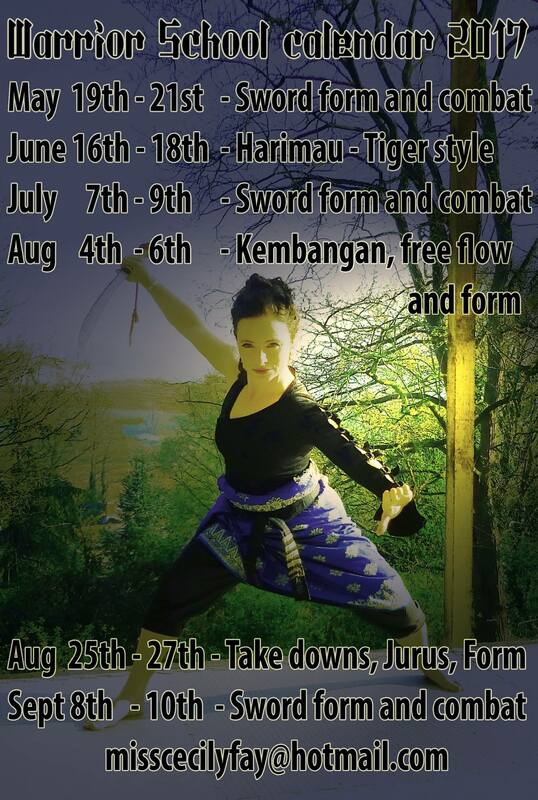 The first training weekend will be July 8th - 10th and will be Sword training. Please message directly for booking and further details. Further weekends will be August 5th - 7th and August 26th - 28th. 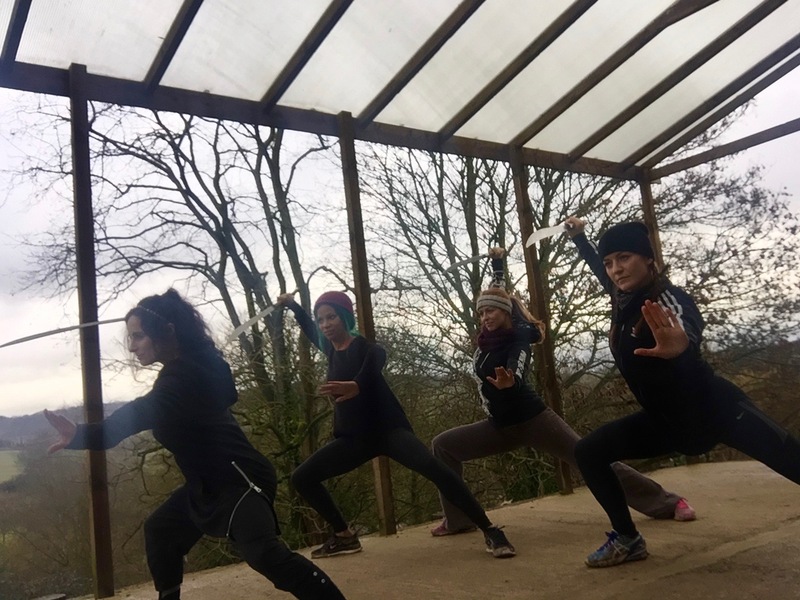 2016 Guru Cecily Fay will now be teach intensive training weekends at Dragons Holt Warrior School in Somerset every month. 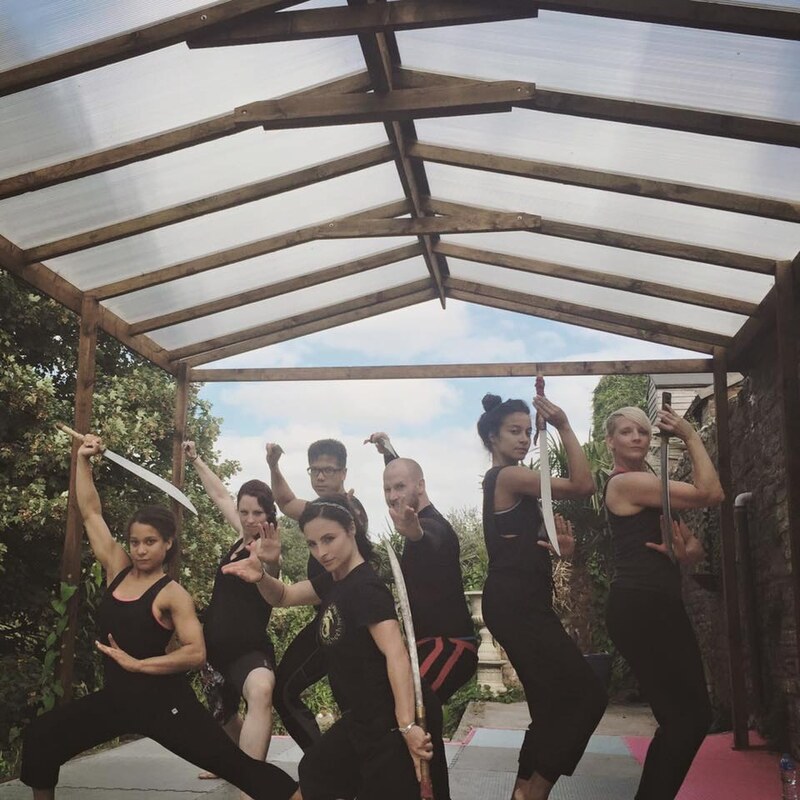 Martial arts feature film Warrioress, starring Cecily, is released in the UK, featuring multiple Silat techniques. 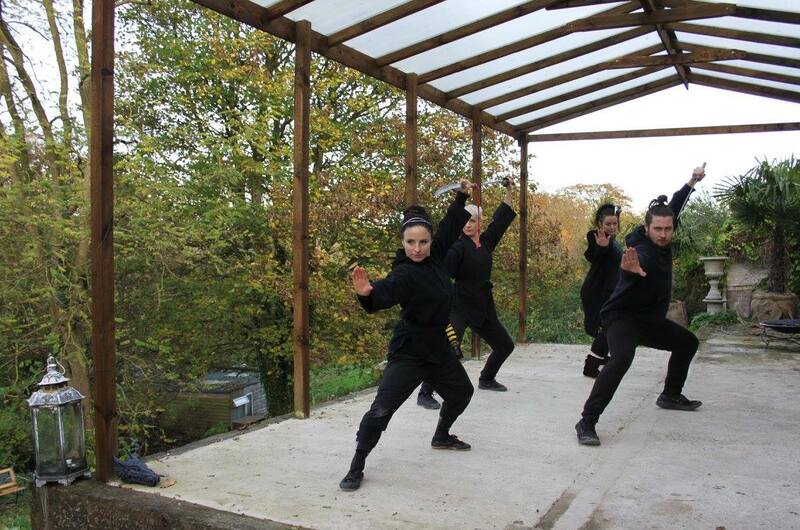 The first Silat Schathach Summer camp was held, three days of intensive training out in nature. 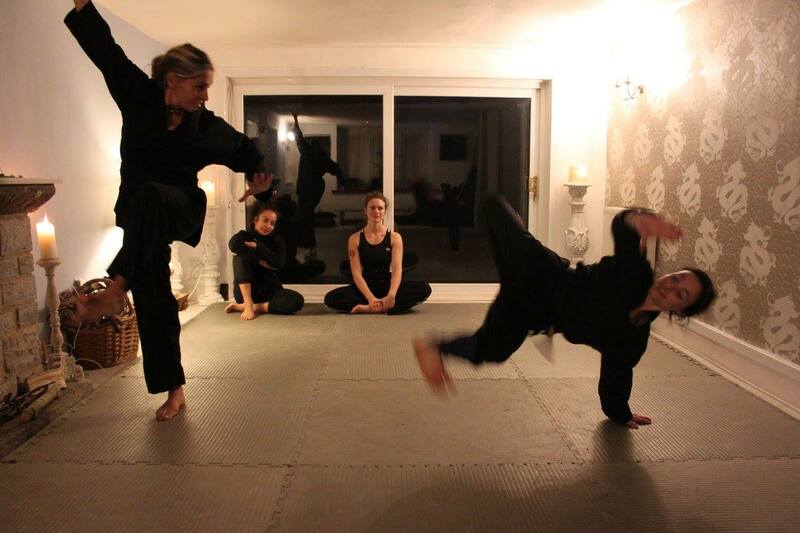 An article about the first female martial arts star Elizabeth Stokes, who was controversially a prize fighter in Georgian London, written by Cecily is published in MAI magazine. 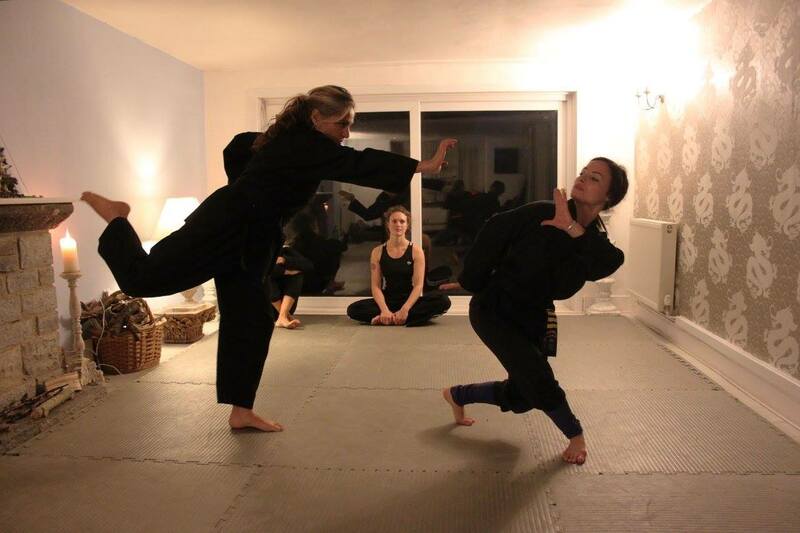 Cecily appears in a docu-drama on Yesterday TV about Elizabeth Stokes, portraying the brutal fighting style of the time. 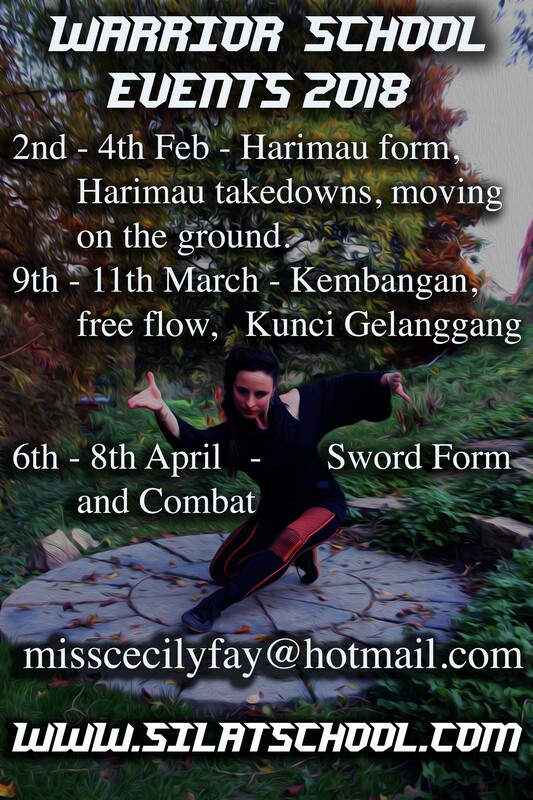 An article about Cecily Fay and her journey into Silat is featured in Martial Arts Illustrated magazine, the February edition. 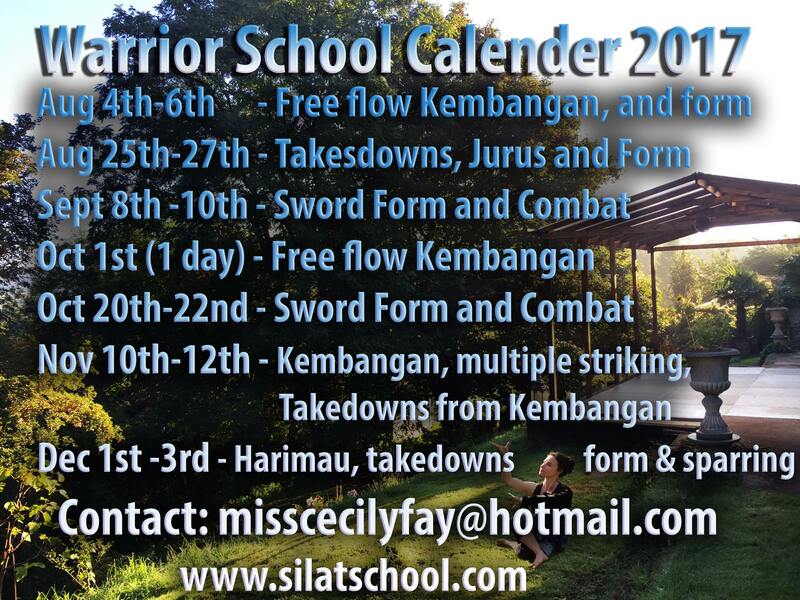 Silat scathach is opening new classes in south London and taking on new students for the first time in 10 years. Cecily performs Traditional Silat Seni on CBBies program 'Zingzillas' with the Gamelan group Gamelan Lila Chita. The episode is called 'Welcome Beachbirds..